Are you feeling hungry and don’t feeling to cook? 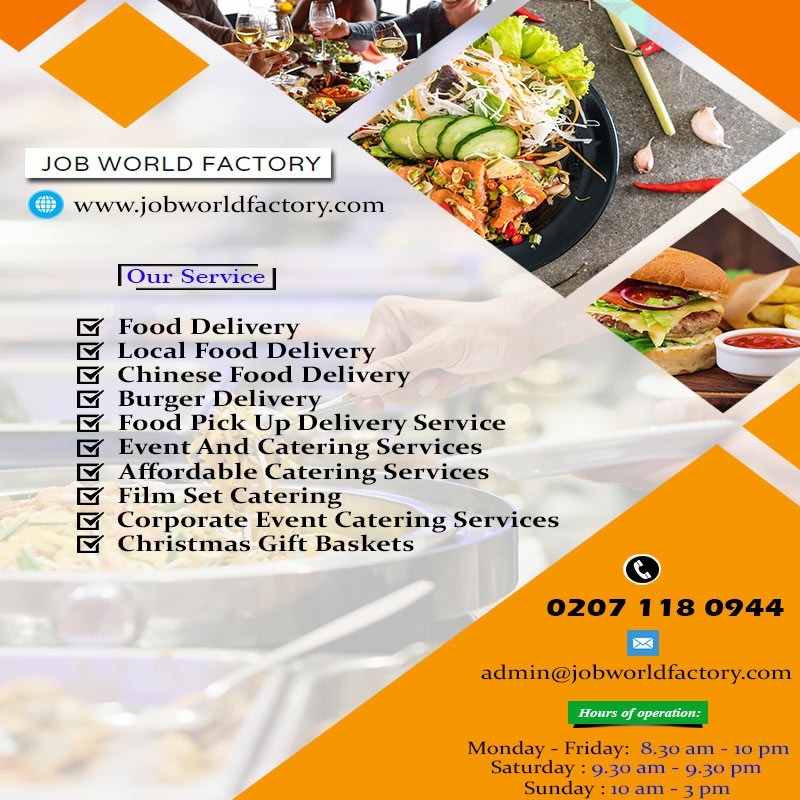 Don’t worry, just register with Job World Factory Food Delivery and order your favourite food from the local restaurants. They provide Food Pickup And Delivery Service in London at a reasonable price. You can order from one of the partners and they will deliver your food within the specified time. If you need Event And Catering Services in London across the UK you can easily contact them and get the best service.